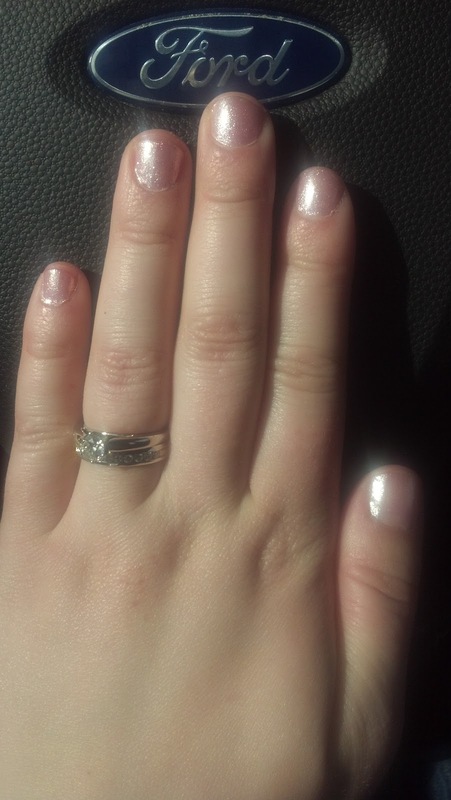 I took this picture of my polish today when I was at a stoplight. Am I the only one who does red light photo shoots? Anyways, I really dig this color- it's a light shimmering pink. Perfectly fit for a princess! I rarely paint my nails, so I thought I better document it. Click on the picture to see it closer. Do you guys like this color for spring? It's my go to shade. I have over 50 bottles of nail polish and almost never wear a color more than once or twice, but I've put a dent in this shade!